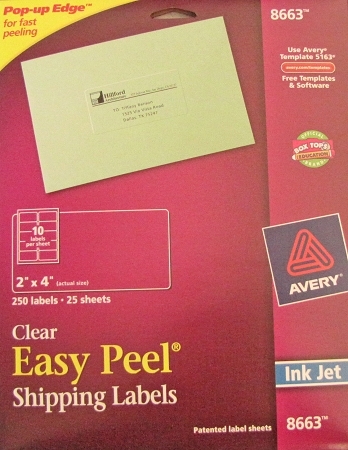 These are genuine Avery® labels with the Pop-up edge for fast peeling. All trademarks are property of their respective owners. Avery and 8663 are trademarks of the Avery Dennison Corporation.